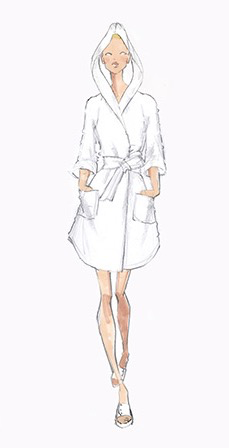 ​Standard Textile and Heidi Weisel are collaborating to bring high fashion, custom, comfortable robes to the hospitality industry. In keeping with the luxurious experience hotels are working to provide for their guests, the Collection will include distinctive details that you would see in ready-to-wear. 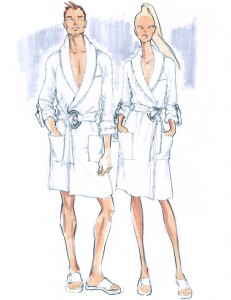 'I recognized a need for hotel and spa robes that offer great fit and style, with a little bit of glamour. Many hotels have robes, but they’re often oversized, and lacking in style and comfort,” said Weisel. “My vision is to design high-fashion robes that fit well and feel fabulous. 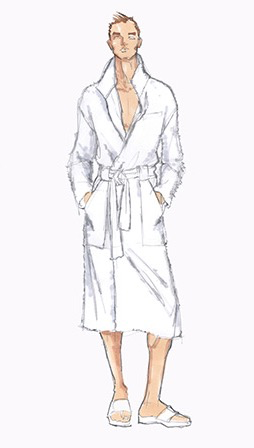 When you’re staying at a hotel or relaxing at a spa, robes should feel cozy, comfortable and special. 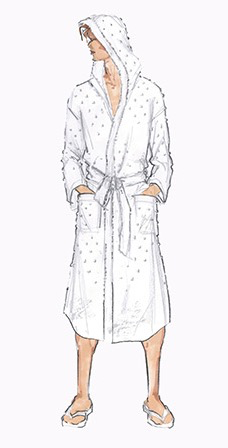 A luxurious robe should be part of the overall sensual experience a hotel provides to its guests.